Counting can be fun! 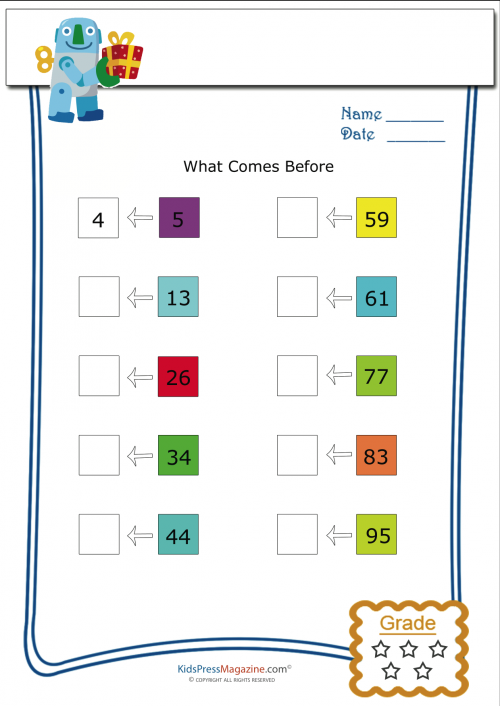 Use this worksheet to encourage your young math student to count. Can they tell you what number comes before the one given? Once they’ve finished writing in their answers, see how fast they can read the numbers to you!